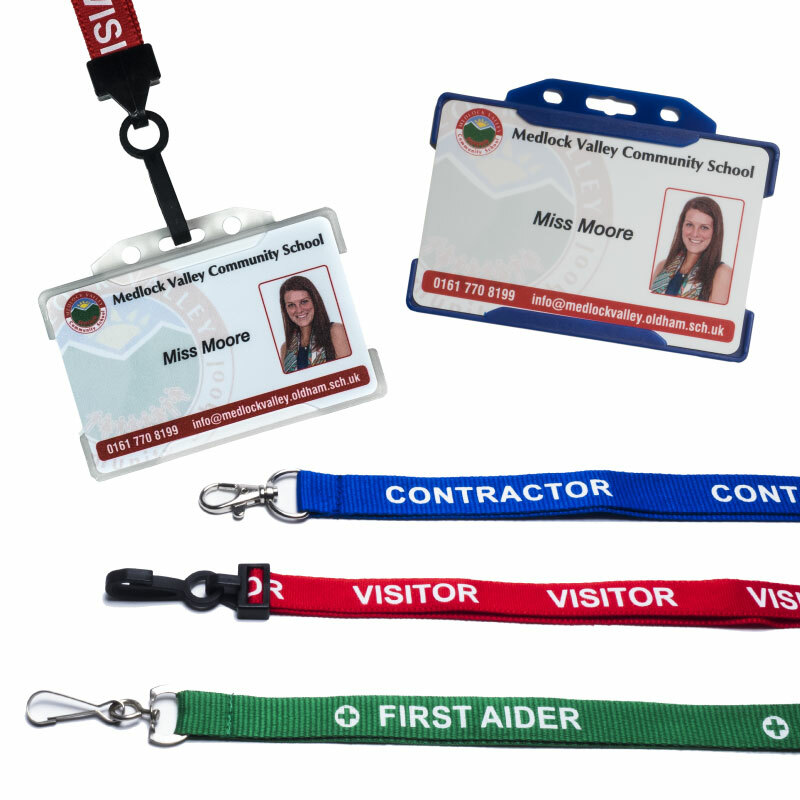 Lanyards, with or without Identity Card Holders, are available in a wide range of colours. They are also available with standard text messages, plus custom wording for special events etc. (minimum quantities apply – please ask for details).